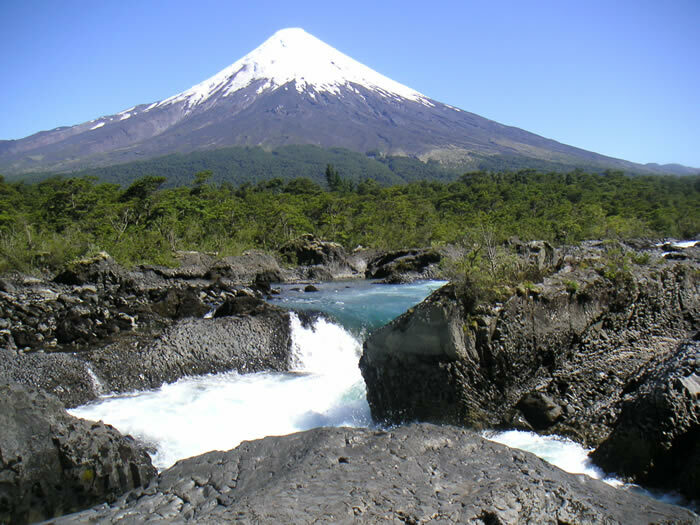 Departure for this full day tour into the wonderful region surrounding Puerto Varas is after breakfast, and wonderful views towards the Osorno and Calbuco volcanoes can already be enjoyed during the drive along Lake Llanquihue. 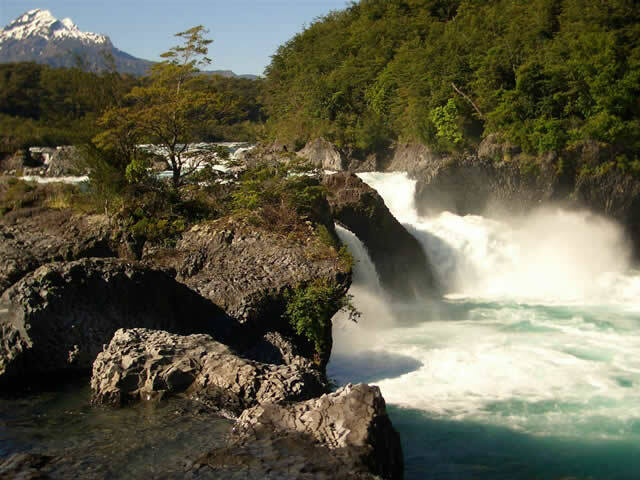 First stop of the day is by the wild ‘Saltos de Petrohue’, a collection of rapids and waterfalls that dance over the impressive formations of lava rocks from the surrounding volcanoes. It is the waters of the Petrohue River itself that have eroded and shaped these rocks over a period of thousands of years. The journey continues with a drive up the Osorno volcano (2,660m/8,727ft). The road ends at an elevation of 1,200m/3940ft, by a mountain cabin, where the unforgettable views range from the mighty towering heights of the Osorno volcano and the neighbouring volcanoes of Calbuco, Antillanca, Tronador, to the profoundly blue Llanquihue Lake. A hike across the volcano’s immense lava fields is made, and the panoramic views improve with every foot of elevation gained. By good weather, you can also enjoy the landscape during a ride by chairlift (optional). The return journey to Puerto Varas is in the afternoon.